Every Air-tow trailer drops all the way to the ground. This eliminates the trouble of a tilt bed and makes ramps a thing of the past. Ground-level loading keeps the operator and the equipment safe in any situation. 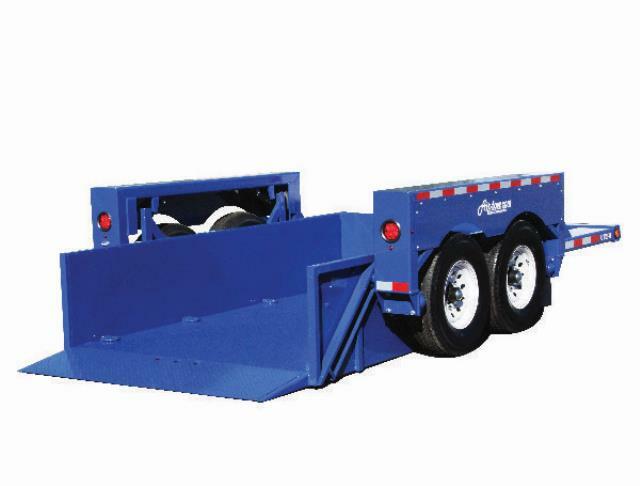 The RUT14-10 Is a 14ft trailer that will handle up to a 10,000 lb load. The drop deck is battery operated with a push button control. * Please call us with any questions you may have about our air tow 14ft drop deck 10k trailer rentals in Dallas and the DFW Metroplex.